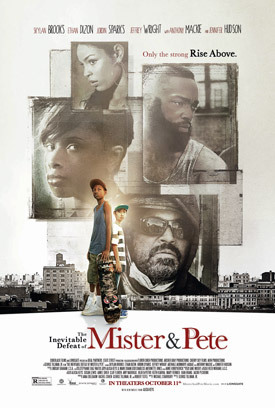 Jennifer Hudson, Anthony Mackie, Jordin Sparks and Jeffrey Wright star in the coming of age drama The Inevitable Defeat of Mister & Pete, featuring music by Alicia Keys. 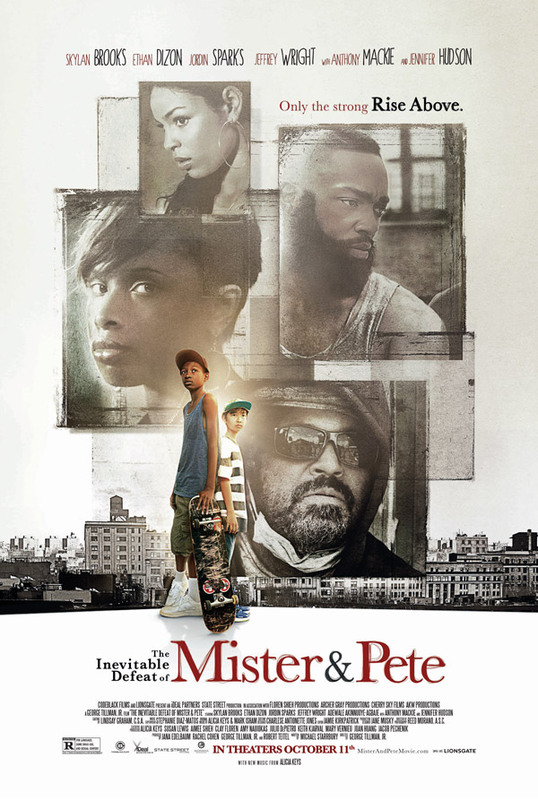 See the ‘The Inevitable Defeat of Mister & Pete’ trailer, poster, cast and plot summary below. Two inner city youths are left to fend for themselves over the summer in New York City after their mothers are taken away by the authorities. MPAA Rating: (R) for language, some drug use and sexual content. During a sweltering summer in New York City, 13-year-old Mister’s (Brooks) hard-living mother (Hudson) is apprehended by the police, leaving the boy and nine-year-old Pete (Dizon) alone to forage for food while dodging child protective services and the destructive scenarios of the Brooklyn projects. Faced with more than any child can be expected to bear, the resourceful Mister nevertheless feels he is an unstoppable force against seemingly unmovable obstacles. But what really keeps the pair in the survival game is much more Mister’s vulnerability than his larger-than-life attitude.